The Ultraformer System utilizes the H.I.F.U. 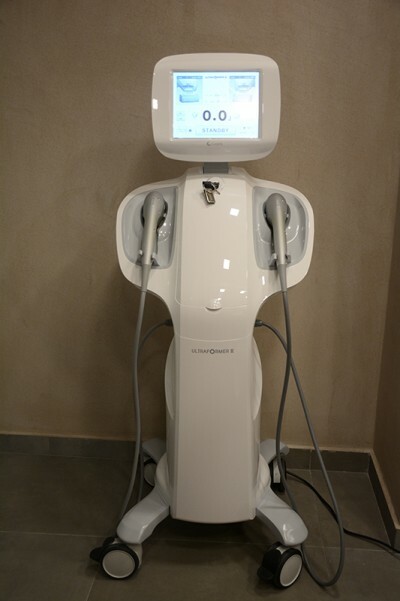 (High Intensity Focused Ultrasound) technology, which is the most modern and scientifically proven method for lifting and tightening on face and body skin. This system consists of various heads offering firmness and lifting. Moreover,itcontributes to skin regeneration, optimizing fine lines, wrinkles, pores, skin tone and elasticity. It is considered a nearly painless and relatively quick method. There is no recovery and the patient can resume his daily activities immediately. The effect of this treatment is immediate and it is completed after 2 or 3 months, once the new collagen and elastin fibers are produced. 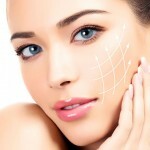 Ultraformer System can be applied on the face, forehead, eyes and neck area. It can also be performed on the body, on the abdomen, thighs, calves and arms.